The trailer of Student Of The Year 2 released a couple of days ago and the response for the film has been phenomenal. Fans have particularly loved seeing Tiger Shroff along with the two debutantes Ananya Panday and Tara Sutaria. Another addition in the cast is also actor Aditya Seal who was seen in the trailer as the one who challenges Tiger's character. Aditya will be essaying the role of Manav in the film. After starring in films such as Tum Bin 2, Namastey England and more, the actor has now bagged a Dharma project. 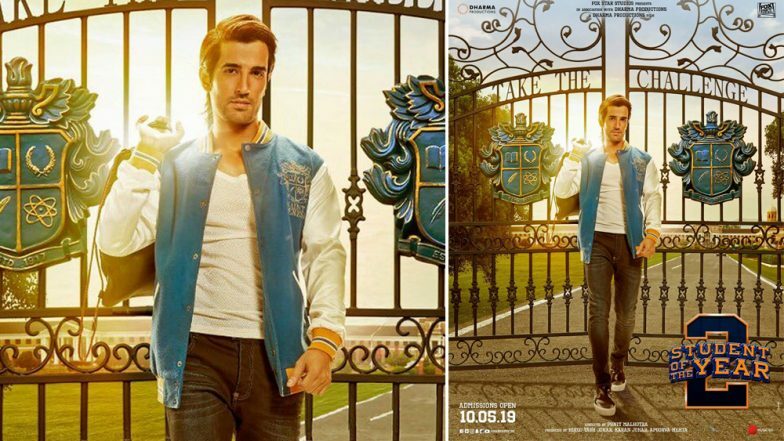 Student of the Year 2 is co-produced by original director Karan Johar and directed by Punit Malhotra. The film is slated to release on May 10, 2019. The sequel has much of the hangover of the original film but it will be interesting to see what the new cast brings to the floor. Student of The Year 2: Alia Bhatt to Shoot a Special Song for Tiger Shroff, Ananya Panday and Tara Sutaria Starrer - Read Deets. Buzz is that stars from the original, Alia Bhatt, Sidharth Malhotra, and Varun Dhawan will have cameos in the film. We hear Hollywood actor Will Smith has a cameo too. Let's see what the second installment of the film has in store for us. In the meantime, tell us how you found Aditya Seal's addition to the cast of SOTY 2!